Just over a decade ago, the abiding image of art in Afghanistan was theBuddhas of Bamiyan being destroyed by Taliban dynamite, but Shamsia Hassani is proof of how much has changed since. Hassani is the country’s foremost graffiti artist, and her work is respraying Afghanistan’s cultural image. 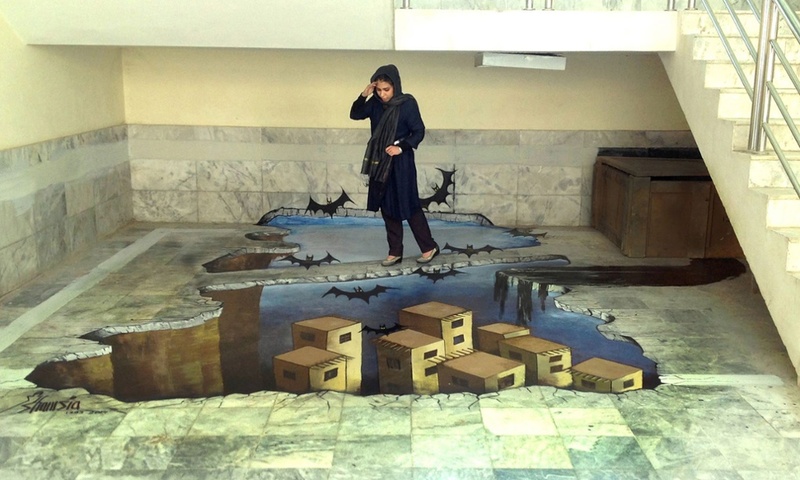 Graffiti has proved the perfect artform for modern-day Afghanistan, practically as well as metaphorically. It is the ultimate democratic medium, freely available to spectators and artists alike (save for the spray-can budget) and capable of transmitting a powerful idea or message without words (Afghanistan still has one of the world’s lowest literacy rates). Art galleries are scarce in the ravaged cities, but there are blank walls and pavements in abundance. Hassani even sprayed one of her pieces on the ruins of Kabul’s Russian Cultural Centre. And where graffiti is an outlaw activity in the west, policed with Taliban-like vigilance, in Afghanistan, it is embraced (Hassani teaches at Kabul University’s faculty of fine arts). 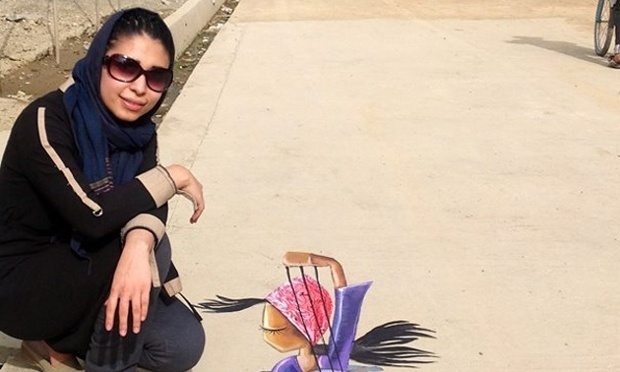 For extra irony, she took up the art after being inspired by British artist, Chu, who held a graffiti workshop in Kabul in 2010. Not that Hassani doesn’t have problems. The security situation is still far from ideal. And being a female artist, she is not always greeted with enthusiasm when she’s out working. Some regard her as a vandal, others believe a proper Afghan woman’s place is in the home.